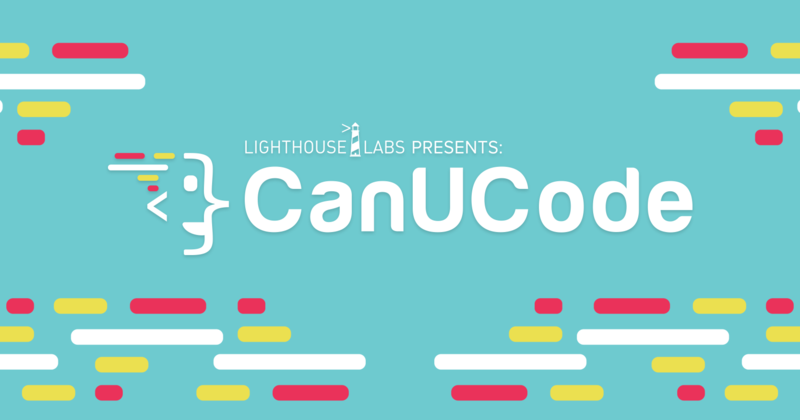 Today, Lighthouse Labs launches the Canadian Universities Code Competition - CanUCode - a free month-long program open to university and college students and alumni. CanUCode is an introductory coding curriculum powered by you: the Code Mentors and the Code Learners, geared towards creating a fun, accessible and supportive learn-to-code experience. CanUCode is a nationwide coding initiative based on an HTML & CSS curriculum that relies on two groups of people. The first are Code Mentors: students or alumni who can be from a computer science, engineering or software background, or simply a code enthusiast who wants to teach the basics of coding. The second group are Code Learners: students or alumni with a non-technical background and who have an interest in learning to code. CanUCode is based on an introductory coding curriculum to promote digital literacy geared towards creating a fun, accessible and supportive learn-to-code experience in the community. The coding competition officially begins on Feb. 25 and lasts one month, up to and including March 25, but don't wait. You can get involved as early as today! Code Mentors can register for the program starting today, and begin to onboard the Code Learners immediately. You can onboard code learners between Jan. 15-March 25 including the final day of the competition. So, code mentors and code learners have an entire month to complete the HTML & CSS-focused curriculum for prizing purposes. Code Mentors teach multiple Code Learners so each team will have more Code Learners than Code Mentors. So, if you have midterms at the end of February, there's still time to enter and complete CanUCode. The same goes for finals; learn or teach code in late February and early March before ramping up for exams. There are prizes for a variety of categories including most innovative delivery, the CanUCoder that goes the most viral on social media and a grand prize of $3,000 to the winning school who has earned the most learning points. Are you part of a student club? CanUCode is a great opportunity to rally the members and participate in a challenge together. We want to see you get creative! Text, Snapchat, DM or pigeon post your friends to get them to sign up. Don't just message your friends either. Throughout the competition, we want to hear from you too! Send us photos, videos and messages on social media using the hashtag #CanUCode. CanUCode is open to students of all Canadian post-secondary institutions, as far east as Memorial University, west as the University of Victoria, north as Aurora College and Nunavut Arctic College as well as everywhere in between. Note that a valid university or college email is required to register for CanUCode. The more students and alumni on a team, the greater the chance you have at winning the grand prize. But that's not the only incentive. As a student or alum with a computer science or engineering background, you will have the opportunity to practice mentorship with a cross-functional team, a skill that can only be taught through doing and which directly contributes positively to your soft skills and on-the-job experience. As a student or alum of a business, political science or other non-technical programs, CanUCode presents a great, fun and (bonus: free) opportunity to level up your skills and get hands-on experience working with a cross-functional team. 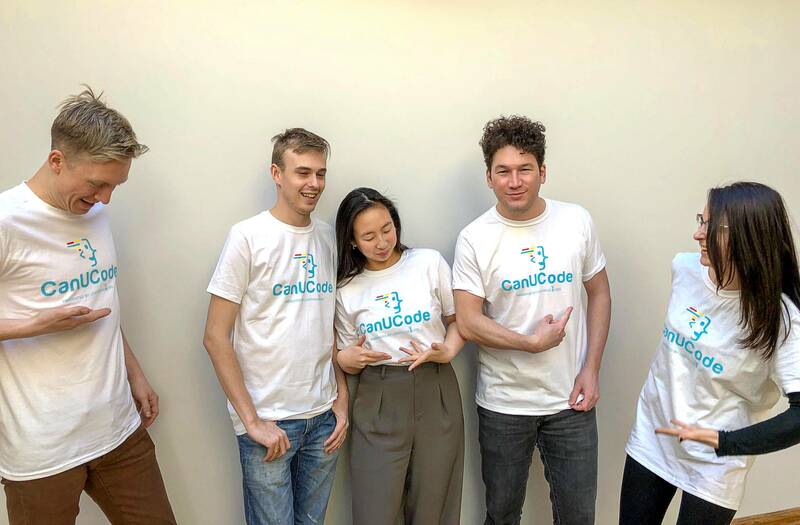 Knowing how to communicate with developers and the developer team is essential in this day and age and CanUCode allows you to gain valuable experience before jumping into your career (if you're still a student, of course). So what exactly will you do as part of CanUCode? The curriculum (to be done online or in-person) includes 10 hours of learning HTML essentials, CSS essentials, stretch goals of responsive web design, all of which go towards the final project: building your own webpage. Need to spice up your resume? Want to add another accomplishment and certificate to Linkedin? Want to compete with thousands of Canadians across the country? This is your chance. Pariticipating in CanUCode gives you the opportunity to advance your career through meaningful experience working in a team, working on your mentoring skills, or simply by learning the basics of HTML & CSS. Plus, CanUCode offers the opportunity to build self-development, show off your passion for coding and help others learn as part of a nationwide movement of increasing digital literacy awareness. Every team to register and sign up 10 people will get sweet Lighthouse Labs swag as well as limited edition CanUCode gear. The more people you sign up, the more swag we'll be sending your team. Learn more and register today at canucode.lighthouselabs.ca. Have questions? Email us at canucode@lighthouselabs.com.